Choosing a name for your bundle of joy can be a daunting task. Unusual names may be problematic, potentially leading to a lifetime of misspellings and mispronunciations. Conversely, choosing a name that ends up becoming super popular has been known to cause some baby name regret among parents. For those who aren’t planning on saddling their little one with a family name, the process of choosing a baby name can be challenging. But now, expectant parents can turn to their smartphones for a little help whittling it down to one perfect name. 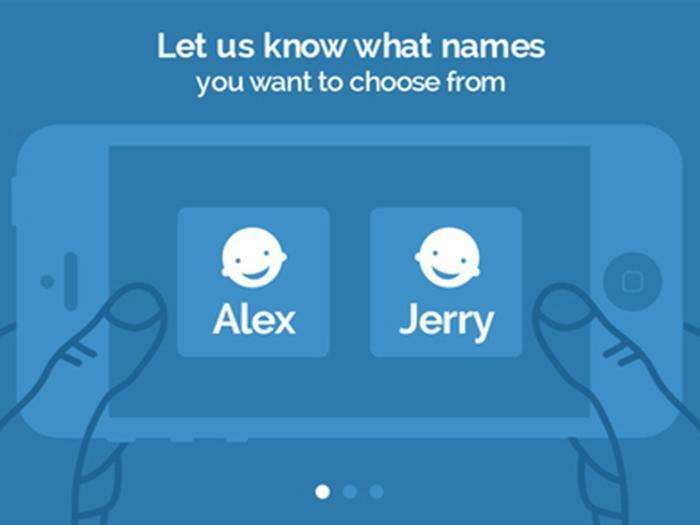 Chooze, a science-based app backed by two cognitive psychologists, aims to prevent the baby name regret that sinks in for as many as 1 in 5 parents by helping parents uncover their subconscious preferences for names. The way the app works is simple. Parents-to-be input two names they dislike and two names they’re considering. Then, they’re prompted to associate them as quickly as possible to negative and positive topics by tapping left or right. The speed at which the associations are made helps the app determine parents’ emotional connection to certain names, ultimately revealing their true name preferences. Chooze’s co-founders, professors Eran Chajut and Ran Hassin, say the app is based on the idea that we are intimately affected by our emotional associations with names. Chooze is currently available on the app store.